The piece below is an (emailed) interview with monks who do the vow of silence thing. I’m constantly drawn to this idea. It feels like it would be more like a vacation than a fast – freedom from words rather than the imposition of silence. I wonder, if you stopped communicating in words, would you stop thinking in words as well? Or would you constantly be mentally composing all the bits of dialogues you couldn’t say? I went to a silent interactive performance art party/event last year and it was both liberating and deeply discomfiting to be robbed of the ability to explain myself. I could apologise, with facial expressions or gestures, but I couldn’t give context, make clear my intentions or motivations, “here’s what I was thinking when I… here’s what I was aiming for” – which is something I do almost constantly. You just had to let your actions stand for themselves (but also, people were more forgiving, because they knew there was stuff you couldn’t say. Which is good practice for dealing with the rudeness of strangers: there’s so much context they can’t give you that might explain their actions). I’m trying to think of ways to make this acceptable – parties is the obvious one – but another might be something like the 40-Hour Famine, Movember or Dry July. Not everyone would do it, but people wouldn’t find it strange that you were, because it would be a Thing. 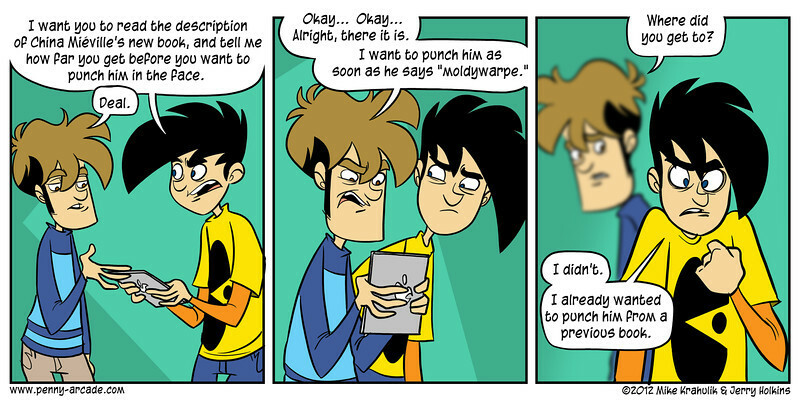 You’d just gesture, and they’d get it. 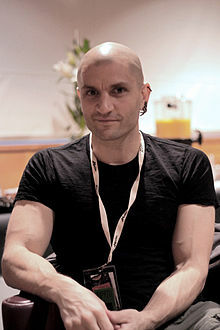 Tolkien is the foundation of the genre in which Miéville writes, its bones. Tolkien is a pioneer of ‘second-world fantasy’ – where the setting is not earth, but a world of the writer’s own making. It’s difficult to overstate how influential he was – “you can’t ignore it, so don’t even try.” Fantasy previous to Lord of the Rings involved interactions between the real world and fantastical elements – ghosts, witches, fairies, genies. There are now thousands of ‘second worlds’, from the Discworld to Westeros to Miéville’s own Bas-Lag. Can you imagine your bookshelf, or your childhood, without them? If anything, Tolkien is the arse on which Miéville is the boil (or the adorable freckle, if you happen to like his writing). Miéville maybe does not know which direction time flows in? Does he blame the 1819 writer of The Vampyre for Twilight fanfiction, or Shakespeare for the decline of theatre? These fantasy clichés were original when Tolkien wrote them. Orcs and halflings were entirely created by Tolkien, and elves mostly so (they used to be small, shy woodland creatures, nothing like the tall melancholy things we have now). And it’s a bit much to blame him for the proliferation of magic rings, since they show up in the myths of every ring–wearing culture throughout history. Translation: ‘war is rad’, apparently? Look, Tolkien fought in World War 1 – he had no illusions about glory. Unless words like “hideous” and “misery” and “oh god, so many lice” seem glorious to you. All but one of his friends were dead by 1918. War in Lord of the Rings had irreparable consequences. The plains west of Mordor, on which the battle of Dagorlad was fought, was the bleakest place the hobbits had seen. Nothing would grow on that desecrated ground ever again. And remember, it wasn’t warriors that saved Middle-Earth – the last alliance has no hope of victory, they are only buying time for Frodo. Frodo who refused to slay Gollum, who won’t even wear a sword towards the end, and who is so damaged by his experiences that he can never really be part of a happy life again. Oh, now, Miéville knows better than that. ‘Consolation’ is a far more complex word than just ‘hugs and puppies’. It’s a word with centuries of thought and theology behind it. The 6th Century philosopher Boethius – and 21st Century philosopher Alain de Botton – have both written books titled “Consolation[s] of Philosophy” and neither of them were intending to mollycoddle. Gollum is very close to redemption at some points in the book. Sam’s suspicion and unkindness are very likely what tip him over the edge to betrayal. Frodo, of course, fails and succumbs to the ring’s power at the last. Gandalf chooses not to slay Gollum out of mercy, and that turns out to be the saving of Middle-earth. Mercy compels him not to kill Saruman, and that causes enormous suffering in the Shire. Aragorn told Éowyn not to go to battle. That decision was completely wrong. Luckily she disobeyed. Both Boromir and Denethor commit terrible acts, but they are both considered good and noble people despite their failings. It is the contention of Mr Miéville that everything belonging to Tolkien must be shaken out of modern fantasy, as one would shake moths and dust out of an old coat. What does he imagine he will have left? If you get rid of Tolkien you will be left holding the empty air. Bonus Content: Boromir vs Faramir! 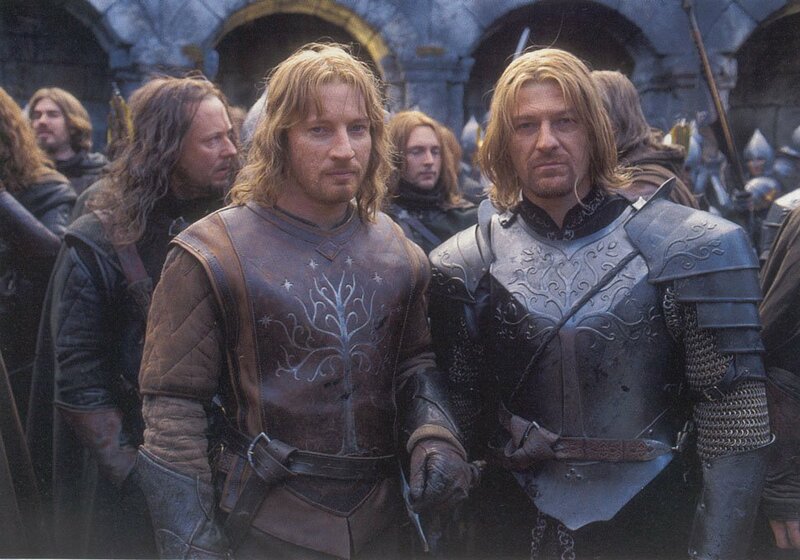 If you want to see where Tolkien’s values lay, compare the brothers Boromir and Faramir. Boromir tries to seize the Ring by force; he is killed and the hobbits are kidnapped as a result. Faramir is not tempted – he keeps his promise, “shows his quality” and aids Frodo and Sam on their journey. Of course, I’m talking about the book. In the movie he nearly succumbs. Peter Jackson threw away the message and the character for a cheap moment of suspense, something that angered Stephen Colbert as much as it did me. Extra Super-Bonus Content: Dwarfs vs Dwarves! ‘Dwarves’ is the correct plural term when referring to the non-human race in Tolkien or other fantasy works. For human people with dwarfism, ‘dwarfs’ is grammatically correct, but it makes some folks unhappy, so why not say ‘people with dwarfism’? It is only two more words. So what is even the point of the word ‘dwarfs’? For when you want a verb meaning ‘to make something appear small’ – e.g. ‘the new hotel in Dubai dwarfs the buildings around it.’ The more you know.